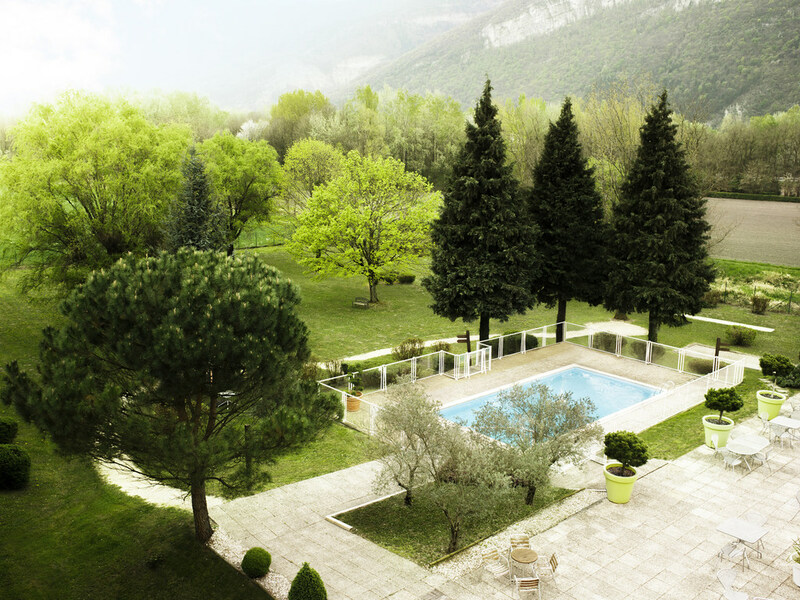 Take a breath of fresh air at the Novotel Grenoble Nord Voreppe hotel. Nestled in an open expanse at the foot of the mountains, this comfortable hotel is perfect for both business meetings and family getaways. Seven reception rooms are available for your lively meetings or private functions. A wealth of activities including table tennis, volleyball, an outdoor pool in summer, pétanque and more are sure to entertain young and old alike. In summer or winter, enjoy the charms of the mountains at Novotel. Espaçoso, de design contemporâneo e perfeitamente modulável, o quarto Novotel é um verdadeiro espaço para viver, adaptando-se a todas as exigências. O Novotel Grenoble Nord Voreppe possui 114 quartos com vistas das montanhas de Vercors e Chartreuse. WIFI grátis disponível em todo o hotel.